Men's shirt with a distinctive two-colour V-neck. Cut and sewn, short set-in sleeve. Hemmed sleeve with a special two-colour effect (matching the collar design). Normal fit. Perfect for any sports activity. 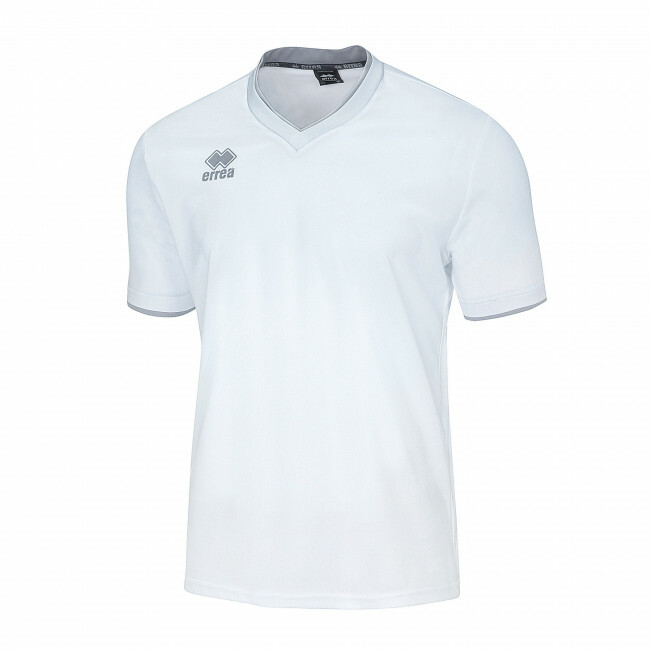 The Vega short sleeve shirt by Erreà is a men's sports T-shirt, perfect for any sports activity, whether indoors or outdoors. Made in a very lightweight fabric, versatile and resistant, it always feels soft and delicate on your skin. The two-colour collar and the sleeve cuff convey an unique and distinguished style, whether you're on or off the pitch. Furthermore, its characteristic V-neck facilitates optimal air circulation. Vega is a classic design shirt, capable of providing total comfort. You may use it together with the New Skin pants to create your perfect team uniform.